The Classic and ECO Premium Baby Wrap Sling are a long, specially woven piece of fabric that have to be tied for babywearing. 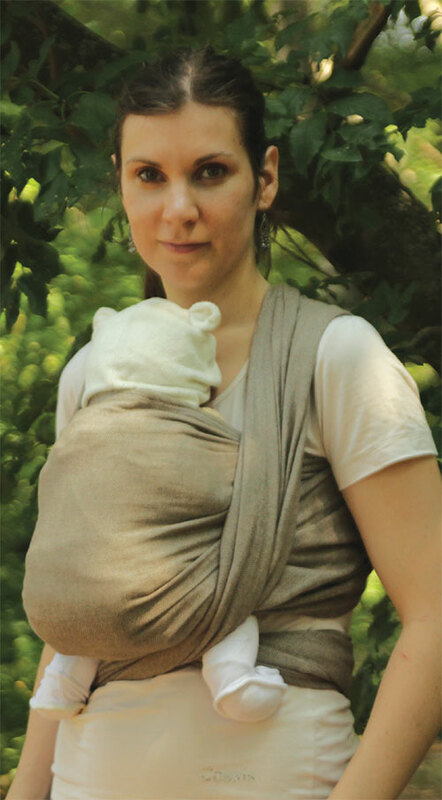 Among babywearing equipment, the slings that have to be tied are the most versatile, and the cuddliest. Wearing the baby in such a sling is not exhausting even on a long term. All children can be carried in this sling in a way that best fits their age, as this sling can be tied in many ways, and supports the baby perfectly. You may as well discretely breastfeed your baby while she is carried in front or on your hip. This sling is recommended from a new-born age until the age of 3.5 years, for wearing the baby in front, on your back or on your hip. Sizes: The slings are made in different lengths. With the help of our chart of sizes, you can easily find the best one for you. The suitable length depends on the person who is going to wear the baby. If more than one person is planning on wearing the baby, the best is to choose the sling suitable for the tallest family member. In case of a tie-sling, for wearing the baby in front of you the most secure way, we recommend choosing the long sling (4.6 m, 5.2 m, and 5.7 m)! Help: The middle of the tie-sling is marked by a woven label. In case of ECO Premium sling, one of the hems is double-stitched, making it easier to tell them apart. Bag for wrap slings (ECO Premium): The bag is made for ONLY ECO Premium slings. You can put into your slings or other heavy things under buying, travelling, hanging out. Because of the techniques used in the weaving, the slings do not stretch in width or length, but are sufficiently flexible crosswise. This makes the sling possible to support the child everywhere, to take the proper shape, not to cut in the child’s legs, but stay properly in place while being used. These properties are important for the carrier person as well, because this prevents the slings from cutting into their shoulders, and makes them possible to fit in a flexible way, while distributing the weight evenly on the shoulders and the upper body. 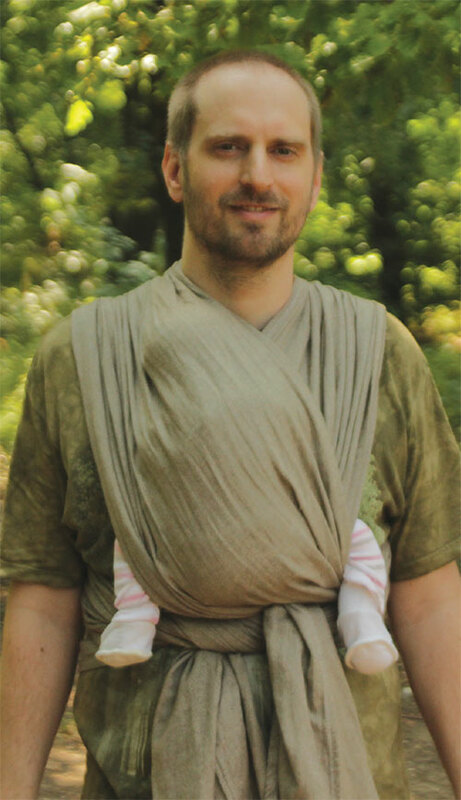 There are no weight limits for the woven slings, any child can be carried in them. The material of the sling: Pure cotton. 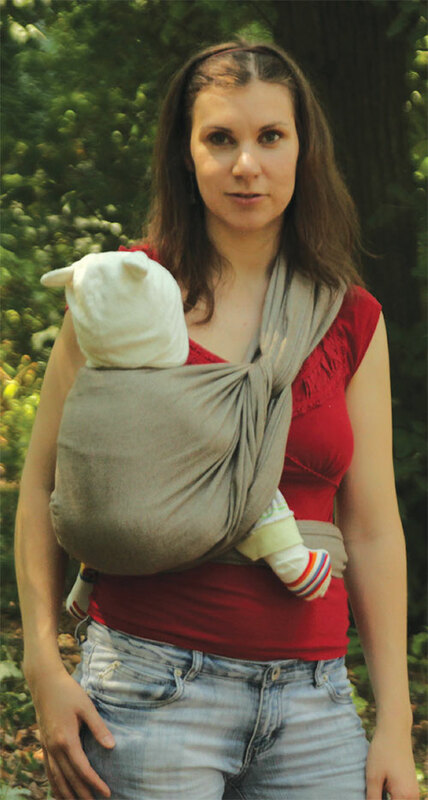 The weave is the one recommended by orthopaedists specialized in the field of babywearing. Woven slings support the baby’s spine properly, and are completely safe. We use for ECO Premium Eco-Tex Standard 100 certified I. product class yarn for the weaving, and Eco-Tex Standard certified yarn for the stitching. The material is not treated during weaving. Cleaning: Follow the instructions indicated on the sewn-in label. Do not use fabric softener. The slings shrink 4–5 % in the wash that we considered in the sizing.